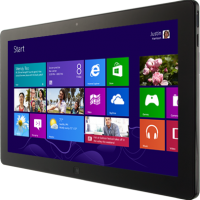 Home » News and Info » Latest news » Windows 8 – Do I need to upgrade? Windows 8 is here! Actually, it seems to be everywhere. The latest computers, laptops and tablets all offer the latest Microsoft Windows Operating System. But what if you are happy with your Windows 7? Do you need to upgrade now? Will you be left behind if you don’t? Windows 8 is certainly different. It looks, feels and works differently to what we have grown used to with all previous Windows releases. Even within our office at Reconnected, there has been a mixed reaction. Whether or not you choose to upgrade and embrace the change, is up to you. You certainly do not have to upgrade right away, and it may even be beneficial for you to wait. Louis, our senior engineer, actually recommends that you do wait. He believes with all new operating systems comes teething issues, which are usually resolved with the release of the first service pack. If you think you may want to jump on the band wagon earlier rather than later, just make sure that your current system and software is compatible. Our experience with upgrading to Windows 8 also meant that we had to upgrade our version of MYOB, and replace our existing video card. There are however, some great benefits to be reaped with the new release. The new Windows store being one of them, as it is exclusive to Windows 8. You won’t be able to buy or run the applications on your Windows 7 computer. Also, the tablet-like user interface is bright, and all your tiles are right there on the Start screen, with all your favourite apps and live information. Windows 8 has been designed so whether you are using a phone, a tablet, a laptop or a desktop computer, your experience is universal. Eventually, it will become more and more difficult to run, and to get support for your older operating systems. But for now, if you prefer to wait, you can. In fact, you can still buy Windows 7, and will be able to do so for a little while yet. As for support, Microsoft will continue to provide mainstream support until 2015. 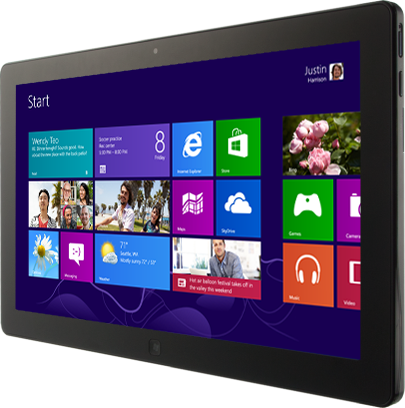 If you are still unsure whether Windows 8 is right for you, feel free to call our office to discuss your concerns. And we would love to hear from anyone who has already taken the plunge.